HTTPS—Hypertext Transfers Protocol Secure—describes the secure connection between your website and the browser it is accessed from. Website owners across the worldwide web are migrating to it from the less secure HTTP connection. Today, HTTPS is used by the majority of websites and is a standard recommendation we make on any of our new web design builds. Oh, and Google thinks the whole internet should have it. This article explores the reasons for and against HTTPS before giving you the information to enable your business add security and improve SEO on your website. This is the key reason behind choosing to switch from HTTP to HTTPS. Providing your customers with a secure and trustworthy website is fundamental to having online success as a business. Whether you’re running a huge eCommerce site where customers buy directly from you or a boutique brochure website where visitors are asked for little more than their email address, ensuring those processes are secure should be a priority. The risks of an unprotected website are simple enough to understand. When your website is not protected from attack, then any data travelling to or from your website could be accessed, intercepted and stolen. It’s a scary thought for many consumers and one that breeds a general state of caution when typing in personal details. 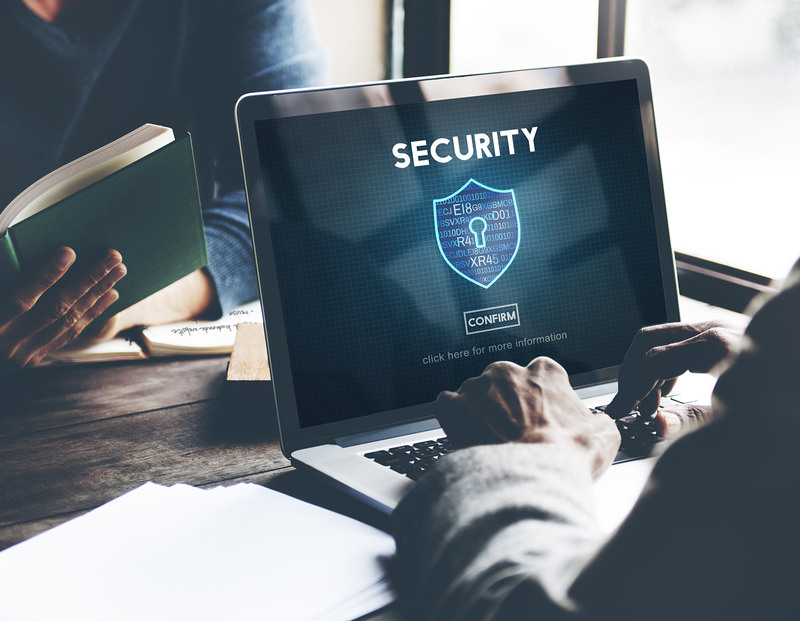 The bottom line is this: if your customers can’t trust that your website will keep their details safe, do you think they are likely to offer them to you? Simply put, HTTPS encrypts data sent to and from your website, protecting your customers’ details and your own, decreasing the likelihood of a breach or attack. HTTPS encrypts data sent to and from your website, so anyone intercepting it just gets a load of gobbledegook that they can’t decrypt. So even if they manage to intercept it, they can’t use it. No-one can impersonate you because your SSL certificate—something on your site that enables HTTPS—authenticates you. This stops scammers from tricking your customers into giving over their details. HTTPS ensures the integrity of your data, so it can’t be corrupted. By April 2016, the majority of webpages loading on Chrome, Mac and Linux were HTTPS. In October 2016, Windows also passed the 50% mark. This mass shift to HTTPS effectively weakens the security of HTTP websites even further. As the number of unencrypted websites decreases, the probability of your HTTP site being attacked increases as they may be viewed as simpler targets. All our web designs come with SSL certificates and we encourage our client to choose an HTTPS connection for their websites. And we’re in good company in making your online security one of our key website build priorities. Google is also prioritising HTTPS and is throwing its weight behind programmes to move the whole internet to more secure and encrypted connections. In 2014, Google began calling for “HTTPS everywhere” (also known as ‘HTTPS over TLS’) and has since included secure, encrypted connections as a ranking signal. And this leads us to the next benefit of shifting to HTTPS: SEO value. When it was launched as part of an update a few years ago, HTTPS only had a 1% effect on your SEO ranking. A relatively small effect—unless your site attracted thousands of visitors a month—when compared to some of the other 200+ ranking factors such as mobile-friendliness and quality of content. But there has been solid evidence of an improvement in SEO performance after switching to HTTPS, although this depends on the quality of the migration among other factors (more on this below). And when a visitor arrives at your HTTPS site, there’s one more sweetener Google has thrown in. Open an HTTPS website in a Chrome browser—like this Code23 page—and you’ll notice a little padlock and the word ‘Secure’ at the start of the address bar. What does this do? It adds an additional layer of trust in the mind of your website visitor. And this could make all the difference between getting a conversion and losing it. As if to reinforce this, Chrome started displaying a clear warning in the address bar of HTTP sites from January 2017. So, while the HTTPS green ‘Secure’ offers a positive security message to your customers’ minds, the red warning on HTTP will appear as a clear deterrent for conversions. Given the steps they’ve taken since then, it’s safe to assume this will be the case. But there are other reasons the future of HTTPS is brighter: HTTP/2 is currently being developed and already promises significant improvements in website speed. Want a fast-loading, ultra-secure website for your customers? HTTPS is the first step to a faster, more secure online future. Are there any reasons not to switch to HTTPS? Basically, if you’re running a small blog site with little direct customer interaction and don’t intend to collect customer information ever—and you’re not really bothered about your SEO ranking—then HTTPS isn’t for you. For everyone else, it’s a must. That said, migrating from HTTP to HTTPS is not completely straightforward and getting the migration wrong can have a negative impact on your website’s performance. Google offers some information on how to migrate to HTTPS and the process is outlined well here too. But if all that tech chat looks too complicated for what seems like a small change to your website—for example, choosing the SSL certificate that’s right for you—you’re far from alone. We support businesses making the switch from HTTP to HTTPS all the time. Our specialist expertise as web hosts and developers ensures the switch to HTTPS can take place under optimal conditions. This isn’t just us showing off about our technical know-how: it’s crucial to ensuring the switch doesn’t impact your SEO negatively. Unfortunately, moving over to HTTPS can impact your SEO ranking, albeit temporarily. There are ways to avoid this—such as ensuring you have a good sitemap and actioning the migration during low traffic periods—but the risk is still there. Thankfully, with years of experience migrating and building HTTPS-enabled web designs, we know all the tricks and turns to keep any negative impact to an absolute minimum. In truth, even a short dip in ranking performance is a price worth paying for long-term security and overall SEO performance and customer trust improvements. Switching to HTTPS begins with getting in touch and discussing what you need. Whether you want to switch your current website to HTTPS or incorporate it into a hosted new web design build, our specialist web developers will guide you through the process to a more secure website.